Salamander School Data Sync (SDS) is a free utility designed to mirror data from a schools MIS/SIS system into Microsoft’s Office 365 and Azure Active Directory. It allows the provisioning of teacher & student accounts as well as online classrooms and enables Microsoft Intune for Education. It enables all this by building on top of Microsoft’s School Data Sync by transferring relevant data from your MIS/SIS into Microsoft’s systems. Save time for your administrators and teachers by automating the creation of your users and classes so that they are ready for your learners. 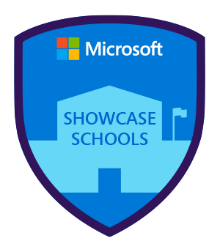 We have been working with Microsoft on School Data Sync since they first announced it in 2015 and so have unrivalled knowledge of integrating MIS systems with it. Salamander SDS is a standalone Windows utility which runs on a machine inside the school’s network. This ensures that no data leaves your network except that which is passed to Microsoft SDS. You can always see exactly what data is or will be transferred by looking at the generated CSV files. To connect the MIS/SIS system for the school to generate the CSV Files used by School Data Sync. To validate and upload the exported files to SDS, ready for use in the SDS profile. Currently the utility only supports tenant using the UK version of the SDS Schema. Support for other regions will be available in further releases. Which MIS/SIS systems are supported? We have experience of dealing with many different MIS/SIS systems in the UK, America, Australia and the rest of the world, so adding support for any of these is easy. If your MIS/SIS is not listed, please contact us at sds@salamandersoft.co.uk and let us know what system you’d like to see supported. What is School Data Sync? Microsoft School Data Sync is a solution designed to help School IT Administrators save time by automating creation of online classrooms and users, and simplify security with a single, compliant source for user profiles and rosters that all classroom applications can use. The data uploaded to School Data Sync can be used by Microsoft Classroom, Microsoft Intune for Education as well as other O365 Apps such as Teacher Dashboard. Tony Phillips of CloudDesignBox has produced a short overview of Microsoft School Data Sync for schools in the UK.